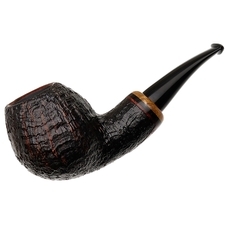 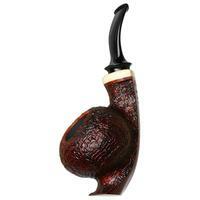 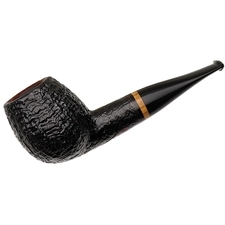 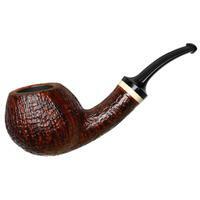 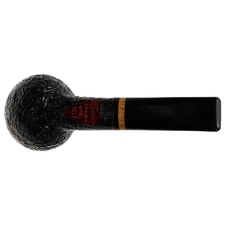 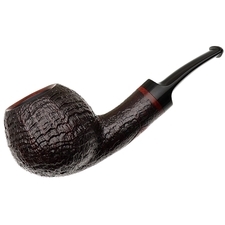 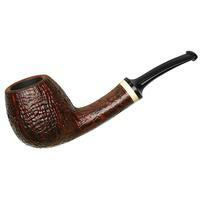 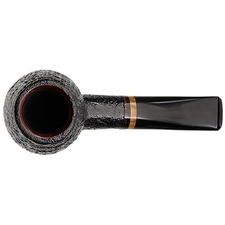 Similar to the popular Devil Anse shape, albeit a good bit stockier of proportions, this straight Apple from Grechukhin Design features a strong forward cant, a well-knit transition, and a streamlined taper across the shank and stem. 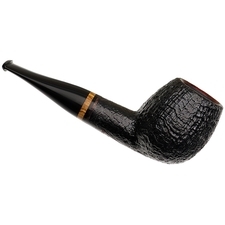 Of course, Vladimir put his own spin on it as he was hand-crafting the design, shaping out full, pronounced cheeks to either flank and a slight lifting gesture to the heel. 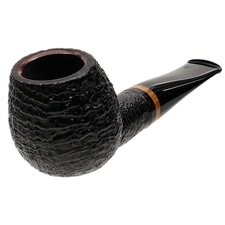 Alexander Tupitsyn followed up that expert shaping with a stunning finish: an extra dark, almost jet-black stain and a crisp sandblast, accented only by a thin band of olivewood between the shank and stem.